As you can see, the first screenshot shows the email address while the second shows account name as Google (at least I think I changed it from ...@gmail.com to "Google" which should appear in notifications. For most of people this would be just minor annoyance, but I happen to be trans and it's GMail account I am stuck with it having my old name. 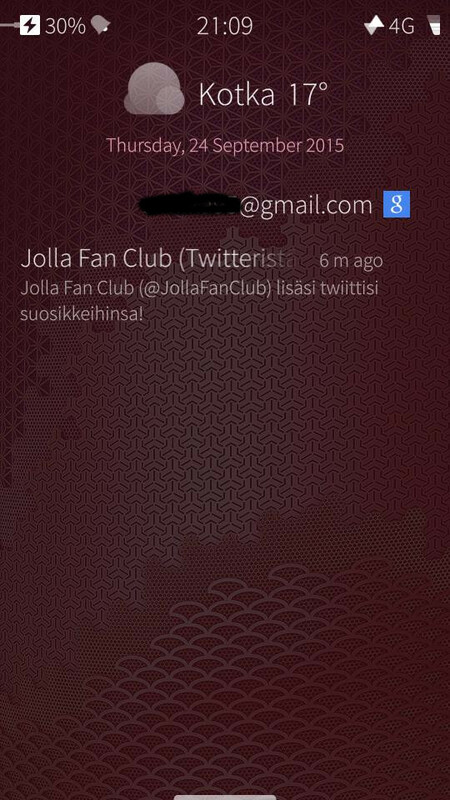 The name could be difficult to explain and it only takes someone looking over my shoulder or asking to try how Jolla feels like to use and email notification (which I get all the time) at the right time and I am outed. Don't suggest me to create a new GMail account and setup email forwarding, that doesn't help me at all as two email accounts would be too much to handle and Google Play Purhaces aren't transferrable. It also wouldn't fix the Jolla issue or if etc. work account forced me to use wrong name. For me the custom names of inboxes are working in events view. 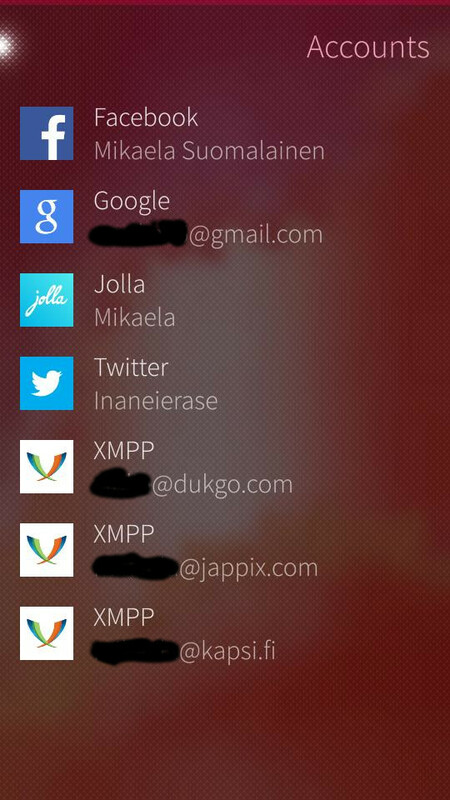 'Google' is the account type, not a custom name. The custom name should be inputted into the description field at account information. What I mean is, you haven't set a custom name for the account. The preset is your email address. It should also be added that you must clear old notifications before/after restarting homescreen as it doesn't update the description in old notifications.